Many of our clients are currently focused on increasing efficiency. Measures such as: seeking reduced cost and carbon footprint through more efficient energy systems, reducing water consumption by installing low-flow fixtures, supporting or providing options to heavy automobile use by the institutional community, and managing space more actively to avoid under-utilization of this expensive resource. 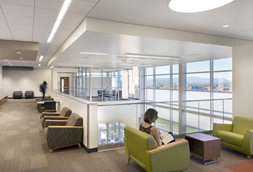 While the changes to campus and building systems and controls involved in reducing energy use may result in modifications to long-held routines and habits, most accept or welcome these efficiencies as an intrinsic good – evidence that the institution is evolving to create a greener, healthier, more sustainable future. On the other hand, increases in efficiency in space utilization and allocation are not always as welcome to users of the space. Faculty may inveigh against the “idol” of efficiency when being asked to teach in classrooms relocated from “their” building to a central classroom building shared by all. 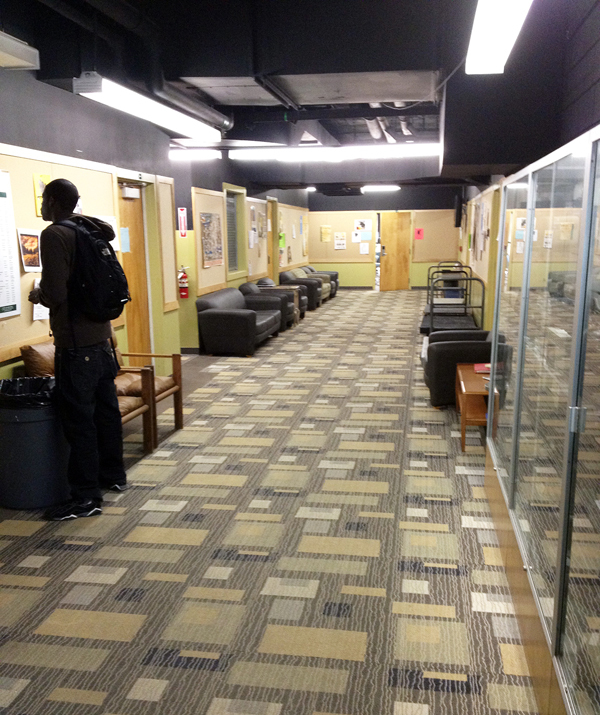 Faculty may also argue that separating classrooms from offices in this manner will have a negative impact on faculty-student interaction outside the classroom as chance encounters due to both groups being in the same building will be reduced. These chance encounters, and the familiarity they promote is praised as a distinctive aspect of institutional culture that is apparently sufficiently fragile as to be destroyed by shifting one space type to even an adjacent building. Students and faculty may both dislike meeting classes either early or late in the day as institutions reduce the number of classrooms by converting them to other strategically-needed uses and so requiring more intensive use of the ends of the day for class meetings in the “right-sized” more efficient classroom inventory. In such situations, it is important to emphasize the benefits of the facility changes while recognizing the fundamental nature of institutional culture, and how the more efficient space allocation or utilization pattern may need to be adjusted to support that culture. The development of a set of high-quality, contemporary classrooms available equally by all users across campus. Providing this proportion of upgraded classrooms through one conversion/renovation or new building will make a significant upgrade to the teaching and learning environment that could take several years (or longer) to accomplish in a building-by-building approach, upgrading a few classrooms at a time. The central classroom building can be managed more flexibly and intensively than a distributed inventory that inevitably becomes constrained by other activities inherent to each building as well as the schedules and routines of the occupants of those building. 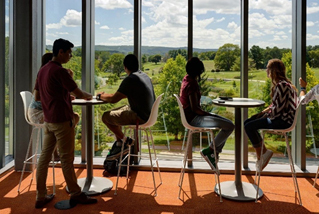 Suggestion: In classroom buildings, also provide breakout spaces and unscheduled study areas where students can meet and collaborate and extend in-class discussions with faculty before and after class. Bringing more departments together in a building to encourage chance encounters between faculty colleagues. The potential to share more support resources and make better use of them: departmental support staff, printers and photocopiers, departmental storage, etc. 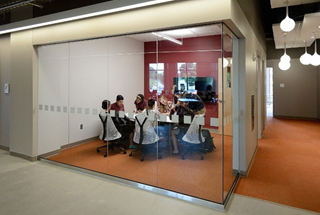 Suggestion: To support interaction, it is important to supplement office space with other space types related to department instruction and activities – instructional labs or studios, research space, and student lounge space. Reducing the amount of space required for one space type such as classrooms can free “surplus” classroom space to support other strategic goals and unmet departmental space needs. Reducing the number of rooms furnished and equipped as classrooms can help the institution concentrate its investment in fewer spaces resulting in higher expenditures per room, raising the quality and effectiveness of the resource. Reducing space requirements in the aggregate can lead to a measurably smaller physical plant over time, reducing operational and maintenance costs institution-wide, freeing resources for other needs. The benefits of efficiency are real and long-lasting, and don’t necessarily lead to an altered or diminished campus culture.